I've been so busy these past couple days with it being Black Friday weekend. As some of you may know, I work in retail and it's just CRAZY busy and so mentally draining. I actually did very little shopping this past weekend. I can't handle malls around this time of the year and literally run out of there the moment I'm done work. I did however do a little bit of shopping and got a new coat! I'm such a fan of Frank and Oak and their women's collection. Not only are they a Canadian company but their prices are extremely reasonable. I've had nothing but positive experiences in terms of customer service and quality. This cocoon coat has been on my mind for some time and I wasn't able to shake it off so I got it! I love the oversized fit and the colour. I'll be wearing it tons this season so I hope you don't get sick of it! 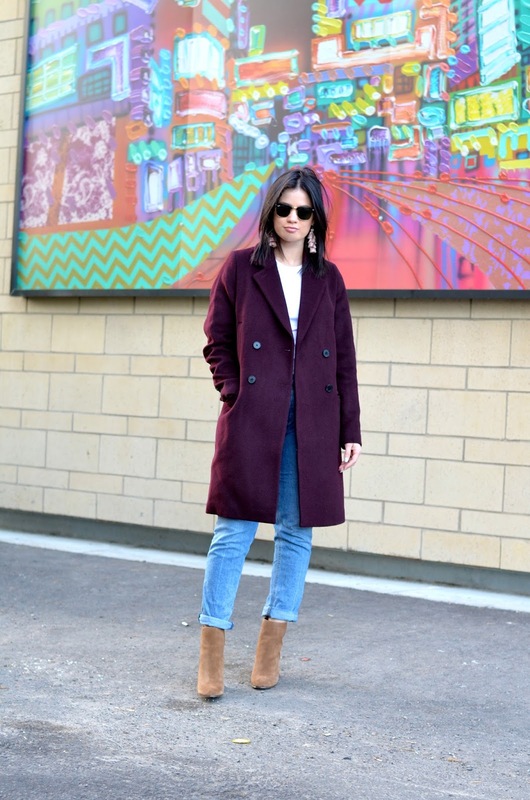 Love and adore the coat and those booties! !